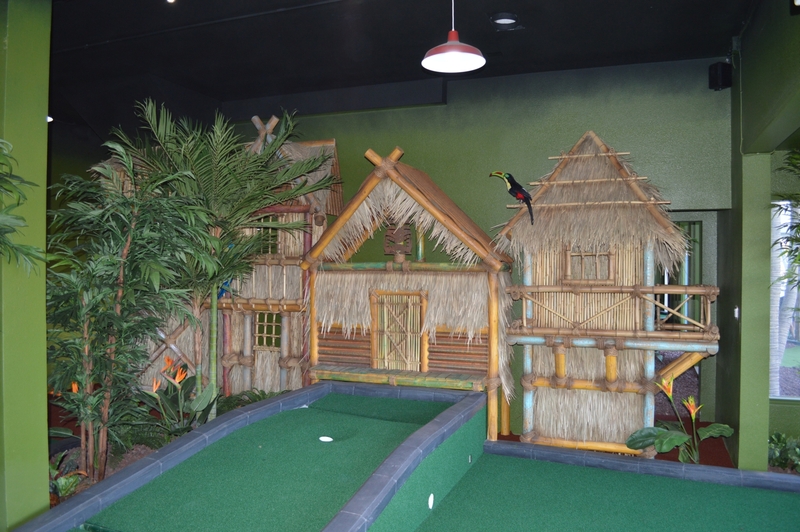 Castle Golf is a well-established designer and builder of miniature golf courses in the US and abroad. 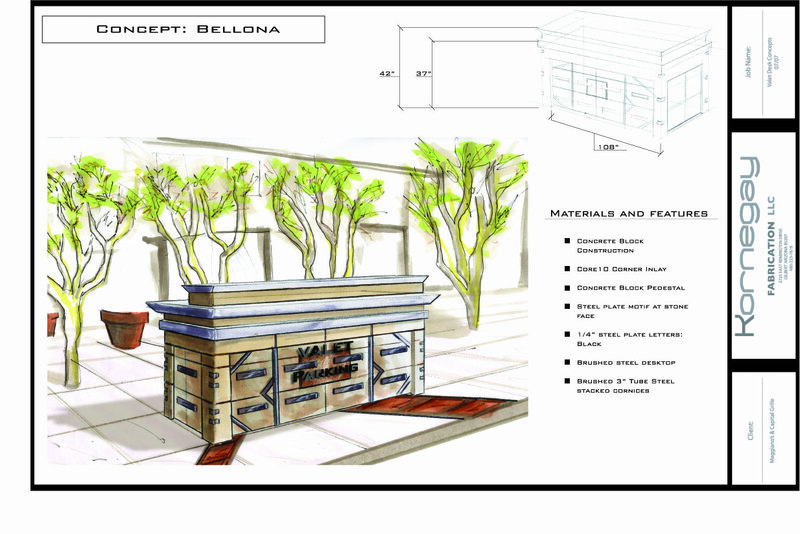 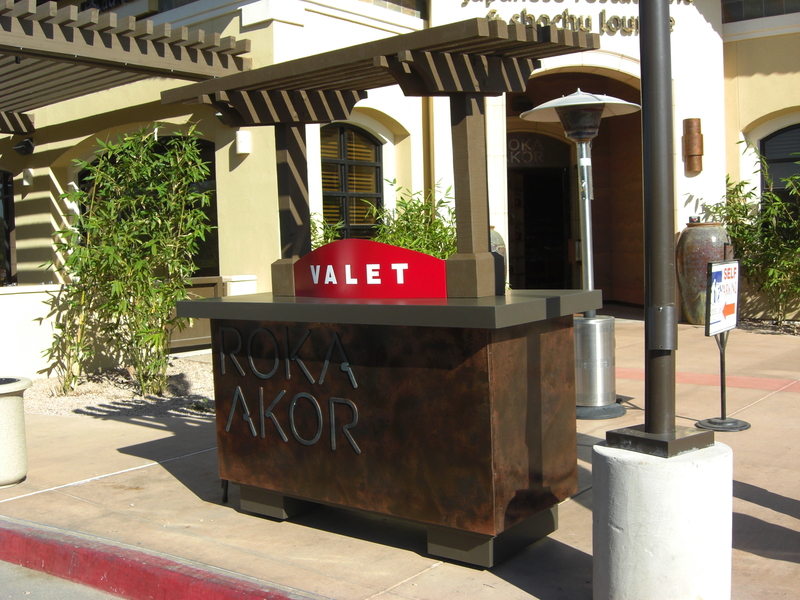 For this company, we have done custom decorative elements for the courses, both in metal and other materials. 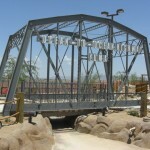 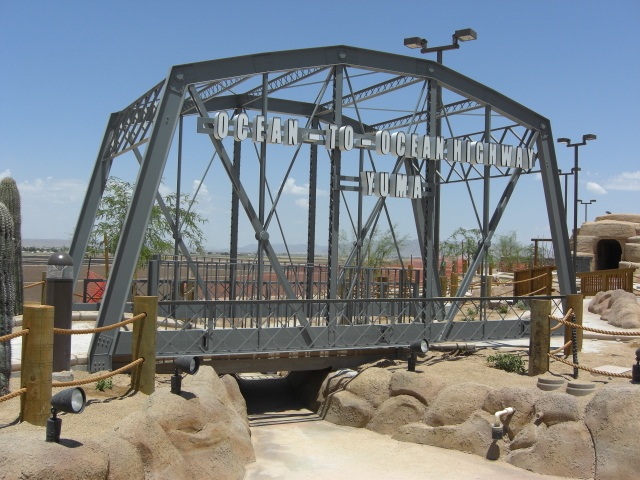 The Yuma Fun Factory park in Yuma, Arizona, features two versions of the famed Ocean to Ocean bridge that spans the border to California. 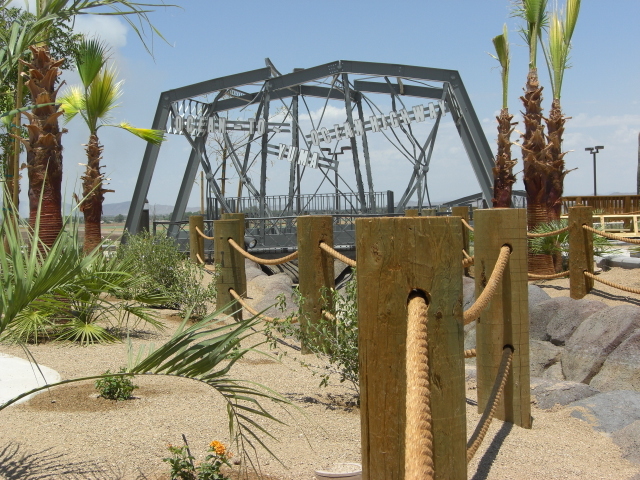 One bridge, the “Arizona side” bridge, is perfect, while the “California side” bridge has been through an earthquake. 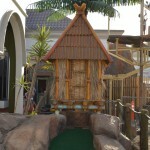 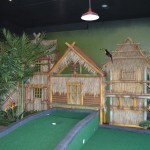 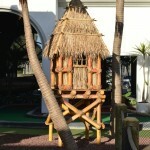 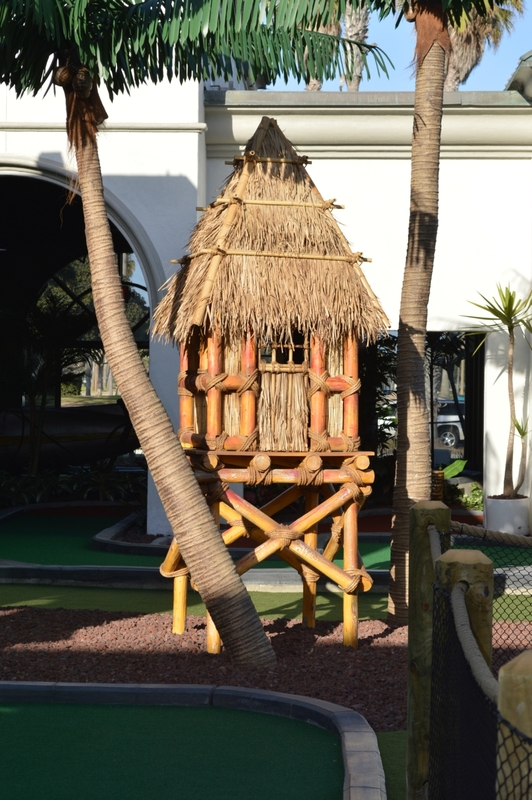 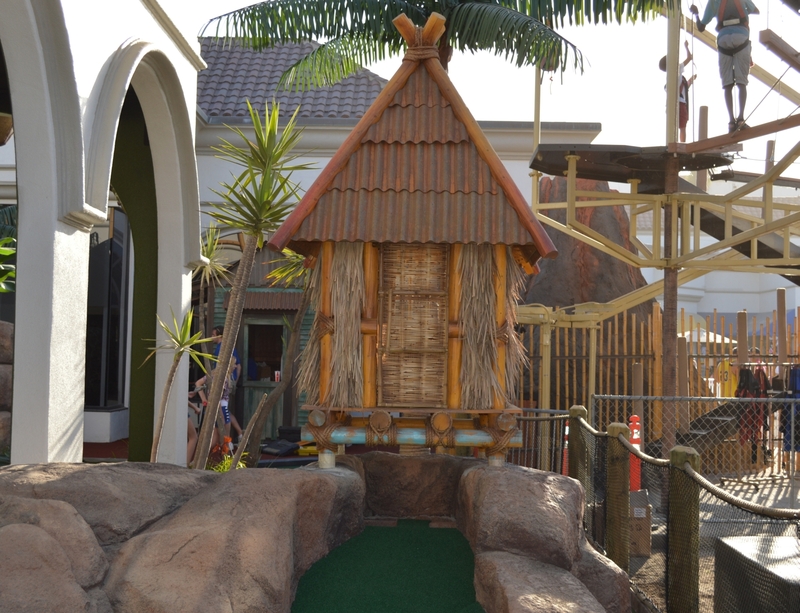 A more recent course we’ve worked on is the Tiki Town Adventure Golf course in San Diego, California. 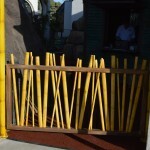 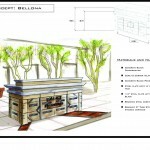 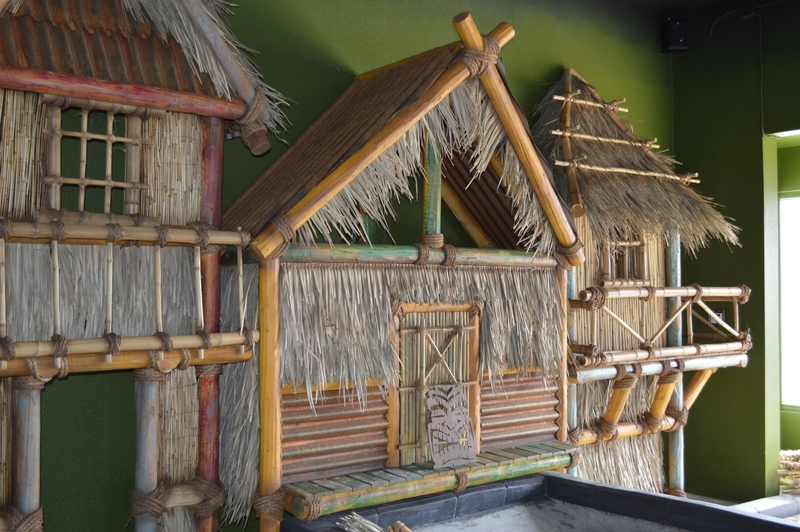 We created three custom steel gates, formed and painted to look like bamboo, and also several wood and bamboo tiki huts. 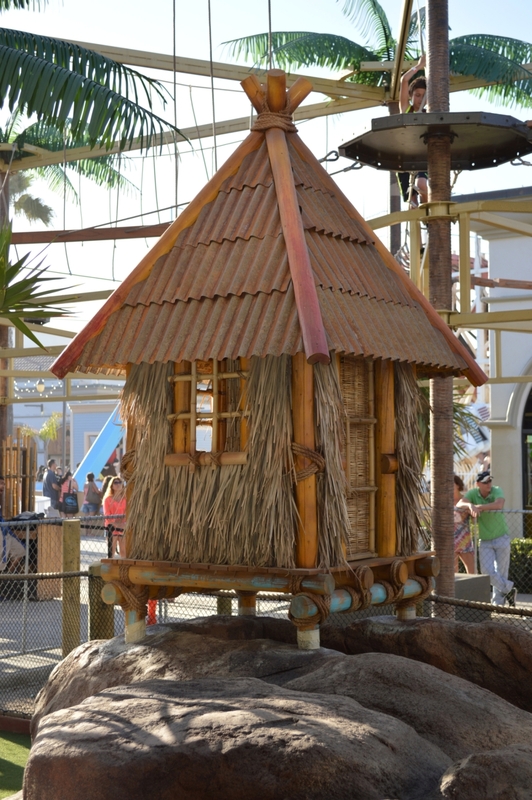 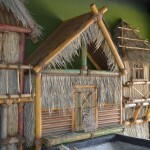 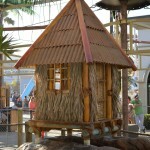 Tiki hut for Tiki Town Adventure Golf in San Diego. 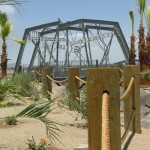 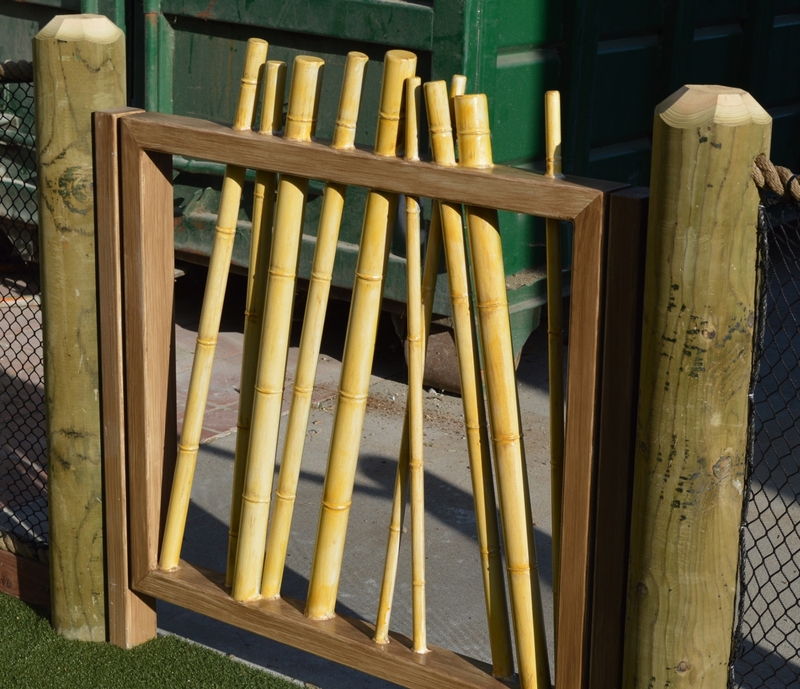 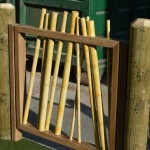 Steel “bamboo” gate for Tiki Town Adventure Golf in San Diego. 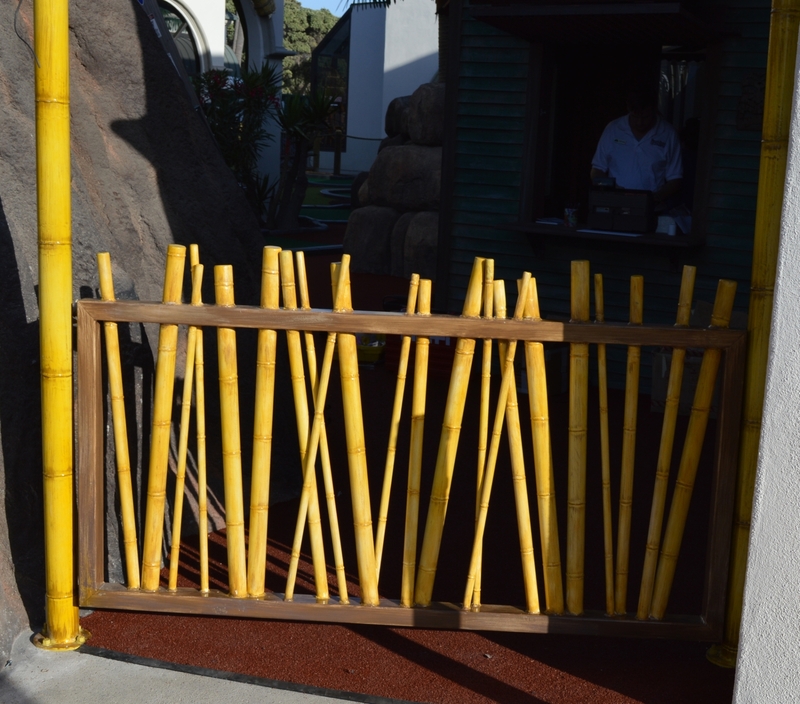 Steel “bamboo” gate for Tiki Town Adventure Golf in San Diego. 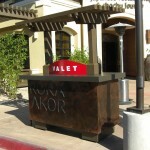 Powder-coat and paint finish. 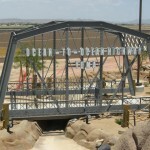 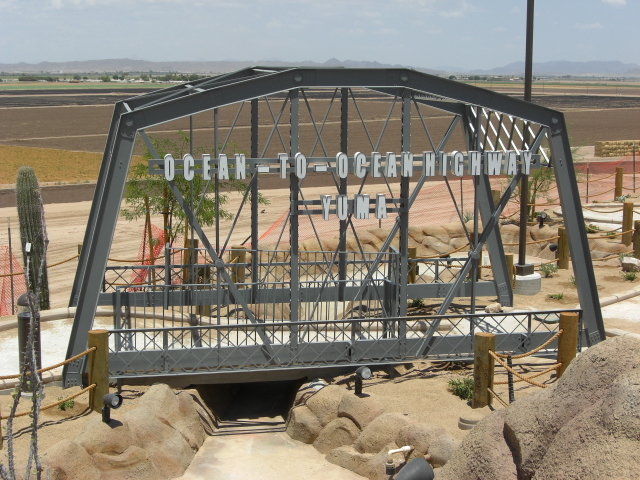 “Ocean to Ocean” bridge replica for Z Fun Factory in Yuma, Arizona. 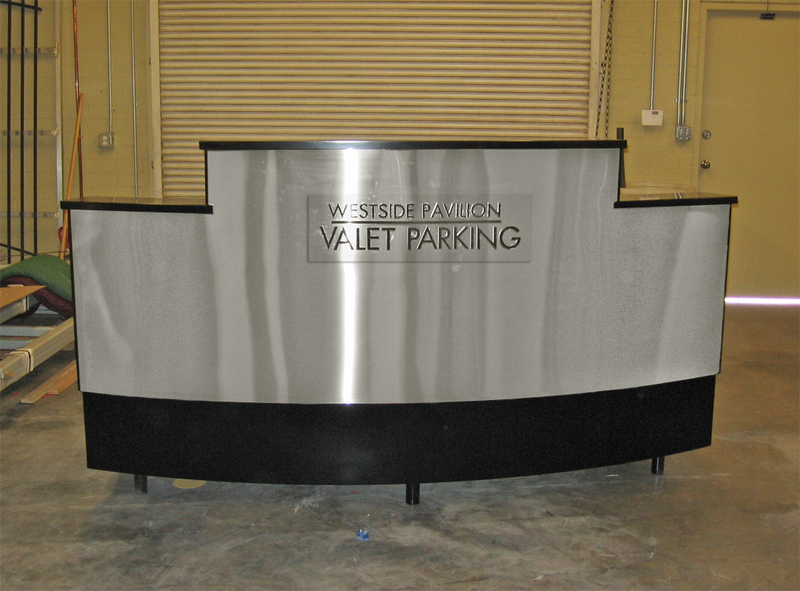 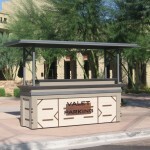 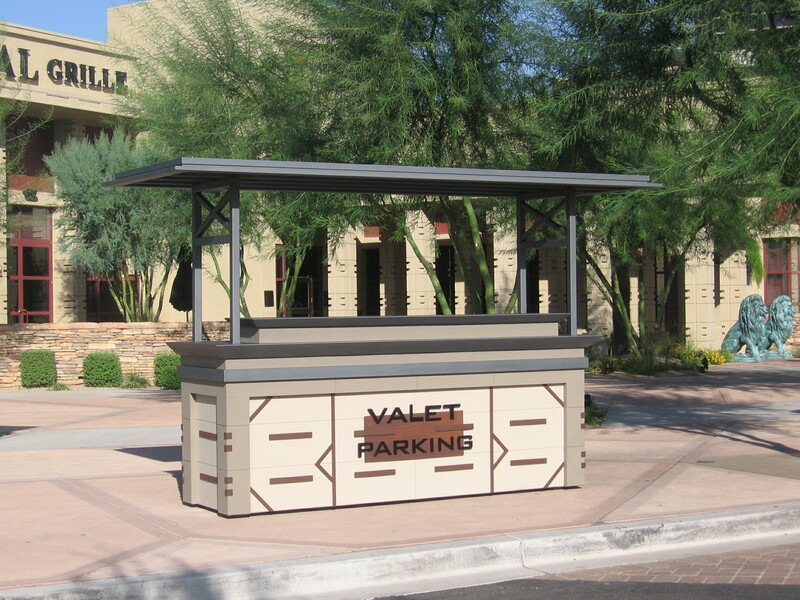 American Valet is a valet solutions company that has utilized our design and fabrication services to create portable “party” podiums and also permanent site specific valet podiums for businesses. 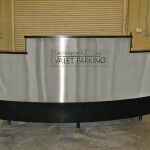 Here are a few examples of the work we have done for them. 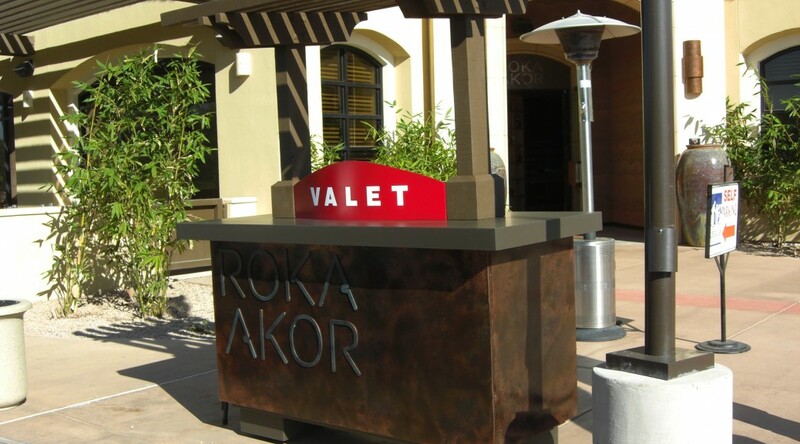 Copper clad valet podium for Roka Akor in Scottsdale, Arizona.